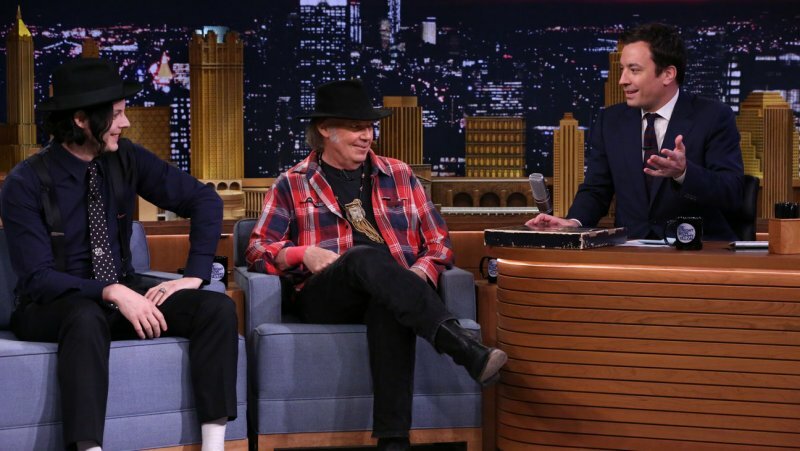 Neil Young’s Jimmy Fallon appearance last week has driven sales of his ‘Greatest Hits’ by 4000 units and moved the album up to the no 84 spot on the Billboard chart, according to Billboard. 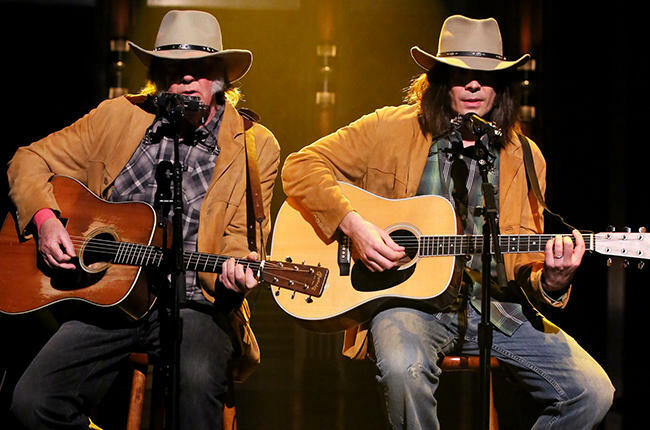 Neil Young performed his classic ‘Old Man’ with Jimmy Fallon impersonating Neil Young on NBC’s The Tonight Show With Jimmy Fallon on February 4. According to Billboard the Neil Young compilation, featuring ‘Old Man’, scored its highest chart ranking since 2005 and best one week sales since 2010. Downloads for the single track of ‘Old Man’ also topped 9000 sales last week, giving the track its highest sales for a single week ever. NBC has announced that Neil Young will perform on the Tonight Show with Jimmy Fallon on Tuesday, Feb. 3. 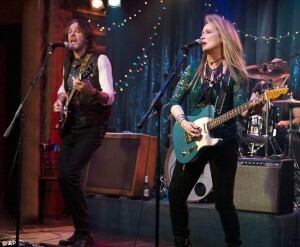 The announcement confirmed names like Michael Keaton, Gwen Stefani, Will Smith, Neil Young, Rosamund Pike, Vin Diesel and Jack White for the episodes, which are to be taped in Los Angeles. NBC confirms that Young will be appearing as both interview and musical guest. Maybe he will bring DH as his muse. This has certainly been making the rounds in the Neil Young community. 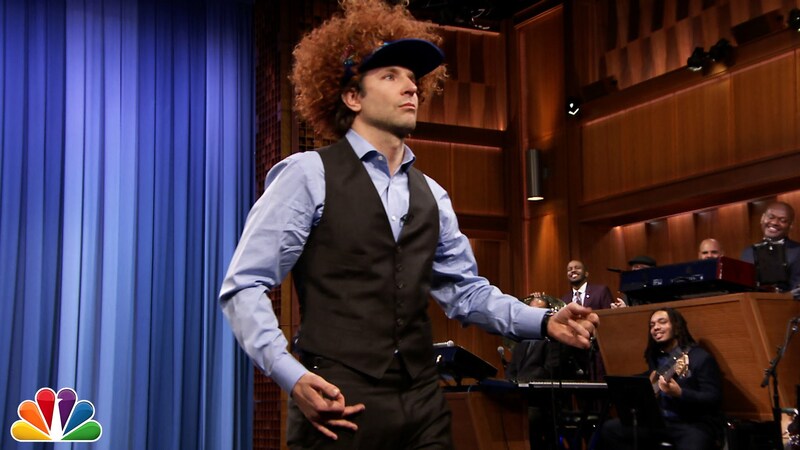 Actor Bradley Cooper performs on ‘The Tonight Show,’ playing air guitar to a Neil Young classic while wearing an Afro wig. The whole thing happened thanks to host Jimmy Fallon, who not only outfitted Cooper with his ridiculous headgear — in honor of Cooper’s 40th birthday on Jan. 5 — but fed him a question about how the actor has “a little” musical talent.